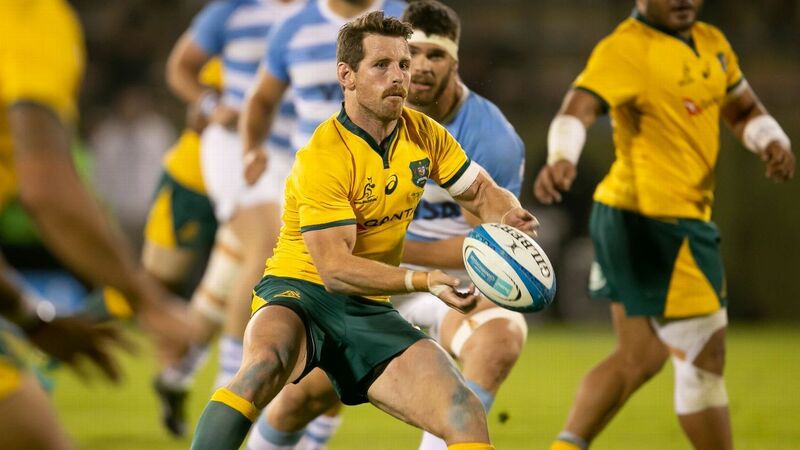 Wallabies playmaker Bernard Foley has signed a new contract but only to the end of next year’s Rugby World Cup. A veteran of 64 Tests, 29-year-old Foley has kept his options open beyond that. The Wallabies will don an Indigenous playing strip for a second time when they face England in the last of their end-of-year internationals next month. The All Blacks cemented their place at the top of the Rugby Championship with emphatic displays. However, South Africa — and even Argentina — showed that the world is catching up, while the Wallabies floundered. Read on for our tournament review. “I’m very happy that Bernard has signed on but I don’t believe this will be his final year in Australian rugby,” Cheika said. “He has set himself a big challenge by going from year-to-year and I’m sure he’ll meet it. Dropped to the bench for three Tests in a rare demotion, Foley made a statement when reinstated as he guided the Wallabies’ stunning second-half comeback to win their Test against Argentina earlier this month. “I’m really happy to re-sign and now focus on pushing ahead to focus on what’s a really big season next year,” Foley, who will also remain with the NSW Waratahs next year, said. Foley is the fourth-highest points scorer (593) in Wallabies history and only sits behind Matt Giteau (698 points), Matt Burke (878) and Michael Lynagh (911).